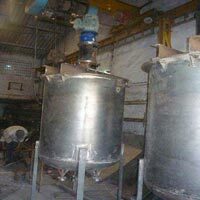 We bring forth unsurpassed quality in the form of Top Open Reaction Vessels. We feel a sense of pride in presenting our customers with the highest quality they can get. They are immensely popular among the customers. Our vendors process them under ideal conditions making sure the quality isn’t compromised. 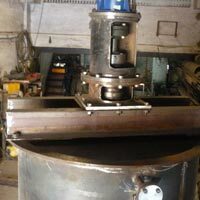 The quality is measured against industrial norms and grades by our competent team of quality controllers. 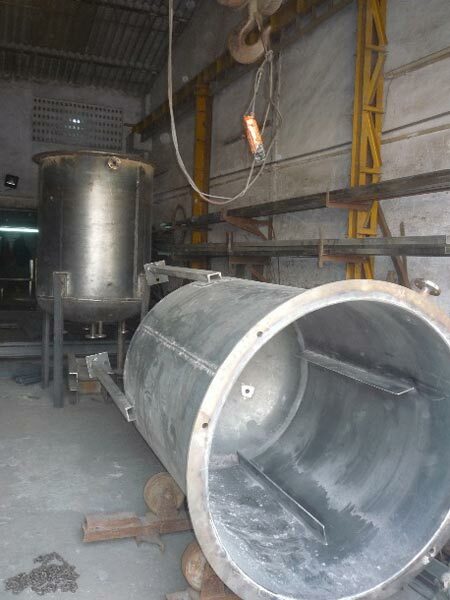 We Manufacture Top Open Reaction Vessel from 50 Ltrs to 30 KL in Mild Steel, Stainless Steel SS 304 or SS 316. 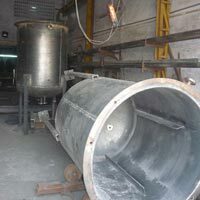 Top Open Reaction Vessel consist of a Cylindrical vertical shell with Top Open end with or without hinged lid on 1/3 rd opening and standard torospherical dish on bottom side. 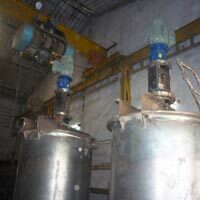 A Jacket or Limpet coil is provided on the shell and is similar to Jacketed or Limpet Coil Reactor except there is no top dish hence the DRIVE is mounted on M.S. channel structure which is rested on the M.S. 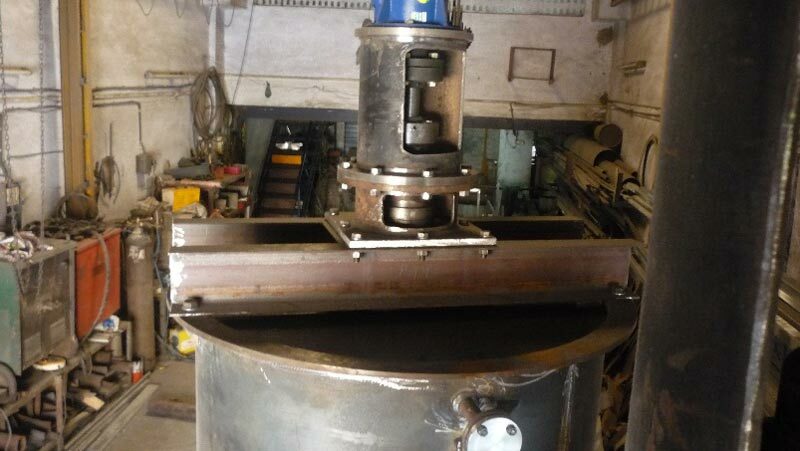 channel ring welded on the top end of the shell. The drive is designed to give maintenance and trouble free performance. 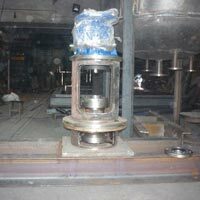 The Agitator Shaft is coupled to the Reduction Gear Box with Flexible coupling. 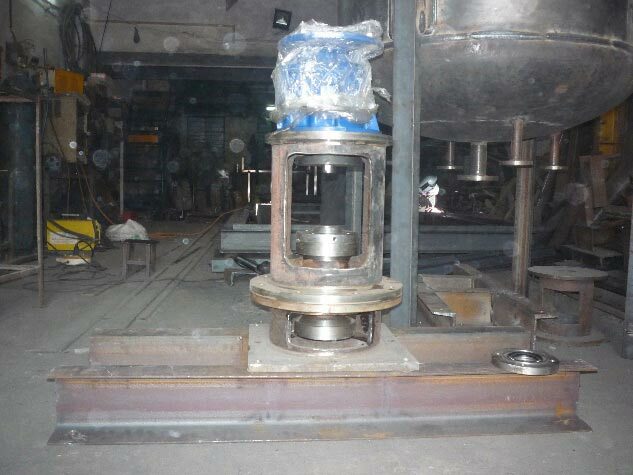 The Reduction Gear Box is mounted on the Top of the Lantern Assembly and is driven by Motor using V belt pulley. 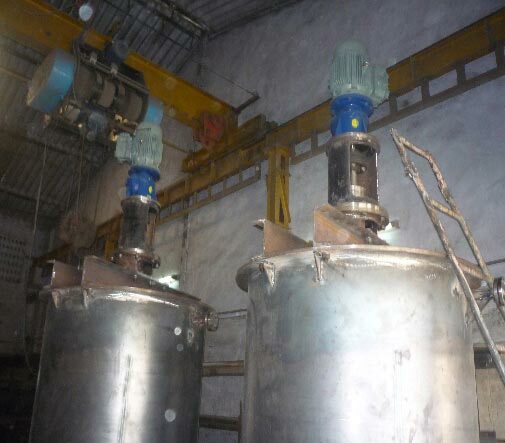 Variator or AC drive can by used to get variable speed of the Agitator if desired.